We buckle up. Why shouldn't our best friends? A harness minimizes driving distractions and increases protection for both you and your dog. Bergan's harnesses meet V9DT B2009.1. Pet Safety Durability Test (see www.v9dt.com). 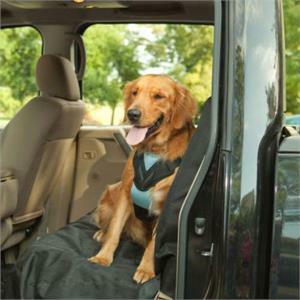 The minimum durability thresholds are designed to ensure confidence that a harness will withstand forces generated from sudden stops while minimizing distractions from traveling pets. It also helps to keep your dog from being thrown out of a vehicle or running away after an accident.